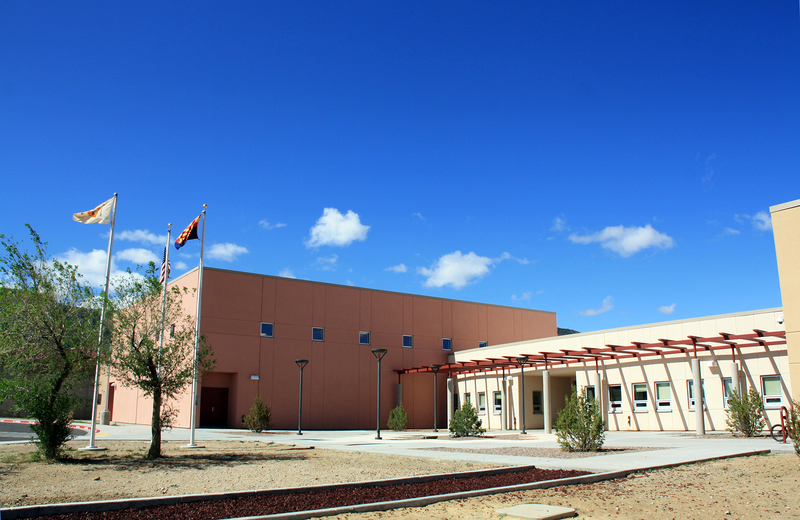 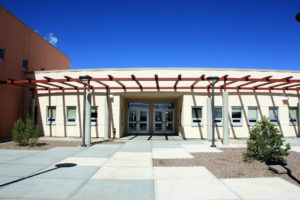 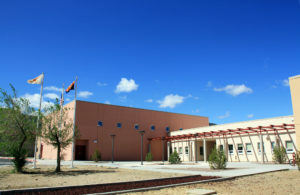 The K-8 Academic Building contains general and science classrooms, library and A/V spaces, conference rooms, FACE, computer, art and special education classrooms, resource rooms, teacher preparation and lounge areas, a large gymnasium with locker rooms and a full kitchen and dining room. 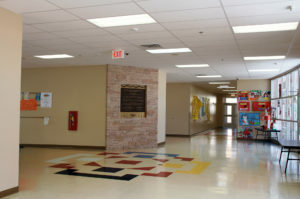 An entry lobby serves as a gathering point, with direct access to administrative, nursing, counseling and other office spaces. 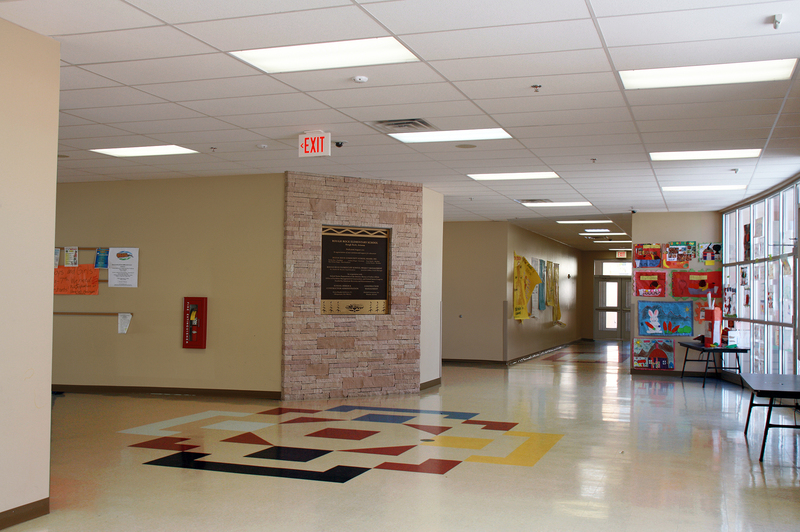 A central atrium area brings light into the interior classrooms and provides a protected area for native plants and exterior design features. 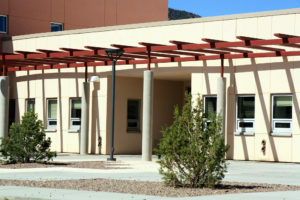 The academic building is LEED Gold Certified, and incorporates several sustainable features. 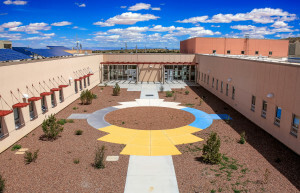 These features include rainwater harvesting, photovoltaic panels, use of non-toxic building materials, and substantial daylighting throughout the building. Energy and water consumption were drastically reduced, and no potable water is used for irrigation of site plantings.